ClearSkinPack for foodstuffs is a universal film which contributes to an easier recyclability of the packaging itself. 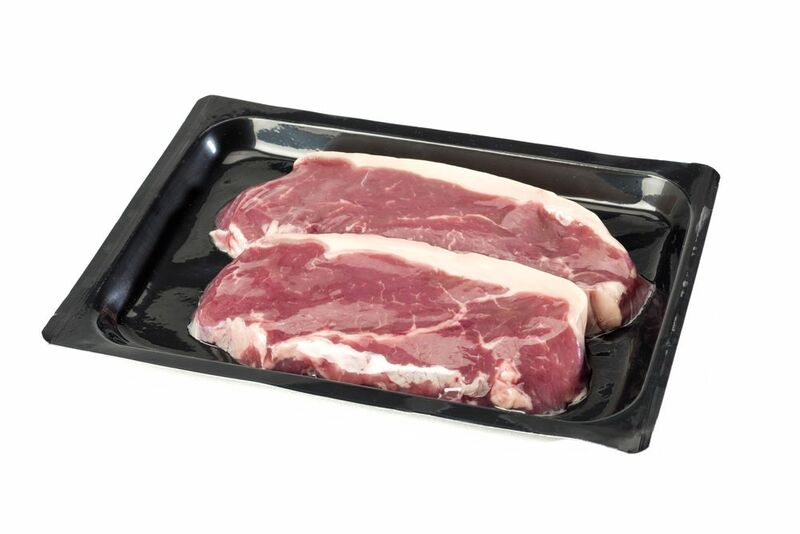 It can seal not only to trays laminated with PE, but also to monomaterial – PP, A-PET, CPET, PS, PVC – trays, always ensuring excellent drip retention of the packaged product. ITP has perfected “skin” (Vacuum Skin Packaging, VSP) for foodstuffs. ClearSkinpack, a film that already at the time of its development in 2014 provided high protection for vacuum-packaging without modified atmosphere. The whitening effect allows a uniform easy opening without residues that could come into contact with the foodstuff and offers an immediately “tamper evidence effect” to highlight any loss of hermeticity in the packaging. It is a universal film, which also perfectly adapts to tray laminated to PE or to PP, APET, CPET, PS and PVC mono-material trays, always maintaining excellent drip retention of the packaged product. ClearSkinPack therefore provides greater sustainability, which is evident in the lower overall weight of the packaging and, at the same time, in the ease of recycling of the mono-material trays. Worthy of note is also the excellent performance during the packaging process even at low temperatures (up to 30°C/86°F lower compared to other films on the market) and this results in a further twofold advantage in addition to that already mentioned, related to the ease of recycling: there is less thermal shock on the product to be packaged and greater energy savings compared to traditional skin vacuum packaging solutions. The new ITP multilayer structure is the first choice for protecting fresh and processed foodstuffs, including meat, also with bone, seafood such as oysters, requiring high perforation resistance, or cheeses on foamed polystyrene (PS) or rigid polyethylene terephthalate (APET) trays, but also those made of PP and of combinations of the same with PE. Its softness and flexibility allow a perfect film to be formed around the foodstuff. Opening of a new subsidiary in New Jersey. ITP USA Inc.